The U.S. has entirely changed its nuclear posture in just four months, said Lubov Glazunova in Moskovsky Komsomolets (Russia). 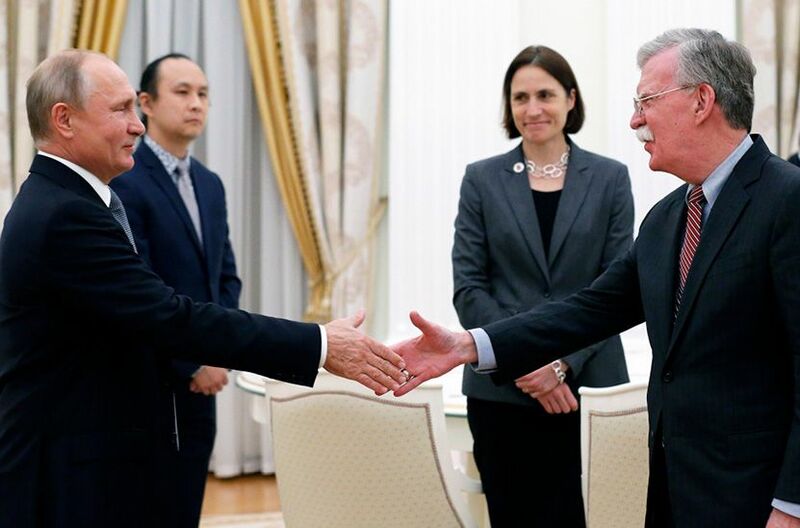 When U.S. national security adviser John Bolton first visited Moscow, in June, he laid the groundwork for the Helsinki summit between President Donald Trump and Russian President Vladimir Putin. At that July meeting, the two leaders discussed “bridging their differences” on the 1987 Intermediate-Range Nuclear Forces Treaty (INF). The pact, signed by U.S. President Ronald Reagan and Soviet leader Mikhail Gorbachev, largely rid Europe of nukes by banning the two countries from deploying all ground-launched nuclear and conventional missiles with a range of 300 to 3,400 miles. This week, Bolton visited Moscow again—“not to conclude agreements, but to dissolve them.” Trump, he said, believes that Russia is in breach of the INF, and the U.S. therefore will start the six-month process of withdrawing from the treaty. Russian Deputy Foreign Minister Sergei Ryabkov described Trump’s announcement as a “very dangerous step” that would start a new arms race. But some analysts wonder whether the shock pullout is just “the typical Trumpian style of negotiation,” a radical declaration to be followed by a climbdown. Each side accuses the other of violating the INF, said Yuri Gavrilov in Rossiyskaya Gazeta (Russia). The U.S. says that Russia’s new 9M729 intercontinental missile is in fact a medium-range missile capable of hitting targets about 1,250 miles away. Russia, meanwhile, has concerns about multiple U.S. infractions. U.S. armed drones violate the spirit, if not the letter, of the treaty—since drones weren’t around in 1987—and the U.S. has been testing ground launches of the AGM-158, a medium-range, air-launched cruise missile. Worst of all are the U.S. missile-defense facilities in Poland and Romania, which are ostensibly meant to target incoming missiles but could be modified “in a few hours” to launch nuclear cruise missiles.